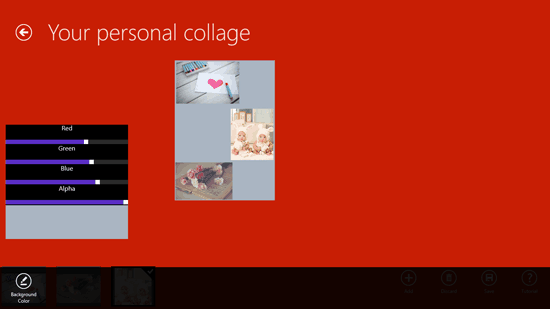 Collageify is a free collage maker app for Windows 8 and 8.1 PC. The app comes with predefined resolutions and canvas size types such as pictures, wallpapers and forum avatars. There are different canvas sizes in each of the categories. You can also create a custom resolution image or canvas in the app. After you choose the resolution you want to work with, you can click on Start button. On the next page of the app you will see a page of that particular resolution and will have different menu options at the bottom of the app screen. The app is designed with a minimal layout and it displays only the important menu options that are built in for use in the app. The menu options for the page or canvas include Add, Discard, Save and Tutorial. To add an image in the page, you can click on Add and then browse the image and bring it on the canvas or page. To remove any image from the canvas you can click on the image and then click on Discard button. 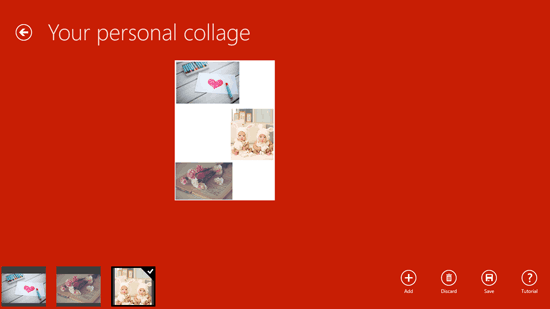 You can save the designed collage, there are two options for saving the canvas, as a project and as an image. To save it as an image on your local drive you can click on Save as image; the output format supported is only JPEG. You can change the background of the page by right clicking anywhere on the app screen. Another menu will open having Background Color as an option. The background color can be toggled by choosing color elements like Red, Green, Blue and Alpha. 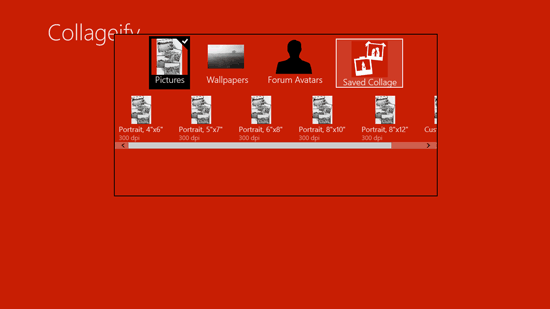 You can also check out coollage and phototastic for your collage making needs. To change the size of the images you have added to the page, you can use the scroll ball to zoom in or zoom out. You can place different images at different places by selecting the image and dragging it to the desired place on the page.